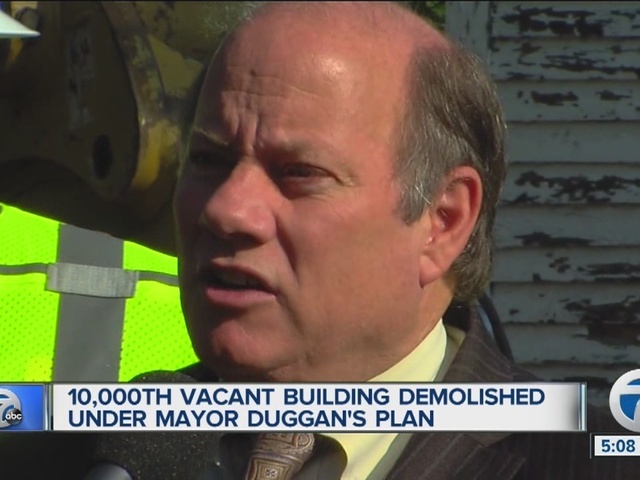 Demolition crews went to work Tuesday to knock down the 10,000th vacant building since Mayor Mike Duggan took office. Neighbors gathered around with the mayor to celebrate this milestone. Residents don't have to worry about an arsonist lighting up a vacant house next door, kids don't have to be scared of who is lurking in unsecured buildings as they walk to school, and property values have increased. At the same time, there is a federal investigation into how the city is spending federal money to get this all done. Questions come as the cost for home demolitions have gone up, and the city is spending $100 million. 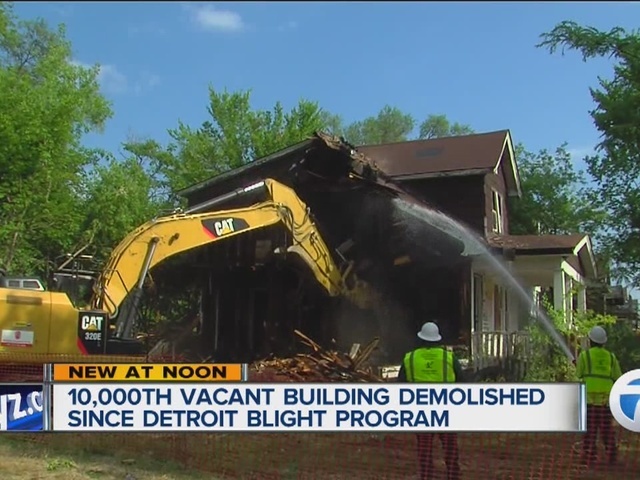 Mayor Bing was spending-- on average-- about $10,000 per demolition. Under Mayor Duggan, the price increased to more than $16,000 on average. The mayor's office says that the mayor is cooperating with federal investigators and there are no charges. The city recently learned it will receive $130 million more in state and federal grants, and the city sees it as a sign of trust regarding the work.